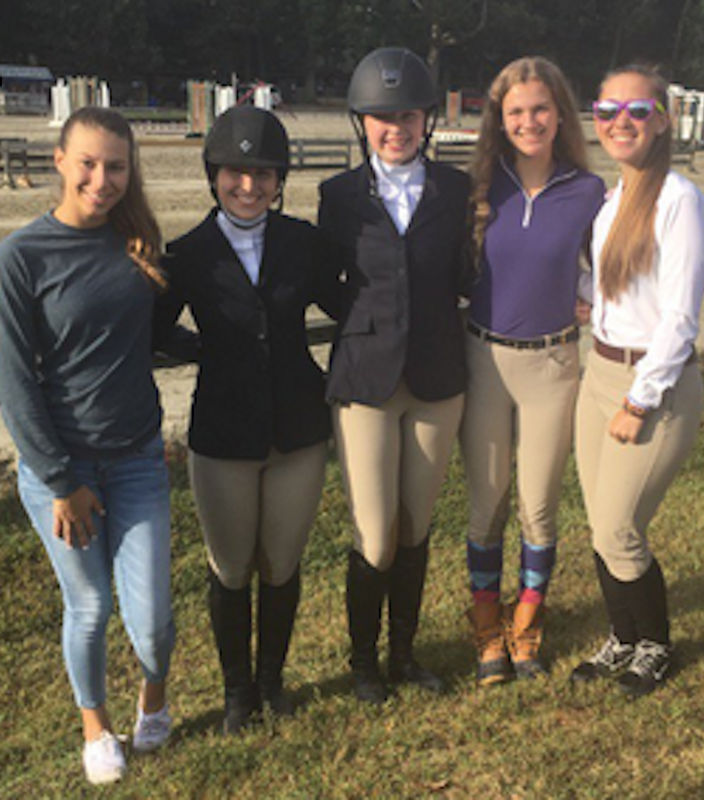 Four members of the Interscholastic Equestrian Association team headed to Greensboro, NC to compete against several teams this past weekend. Representing Chatham Hall were Shannon Huth '18, Chandler Runnells '19, Alysha Cranmore '17, and Isabella Hubbard '19. With strong competition, the team finished 4th overall in the first horse show of the 2016-17 Season. Huth rode in the Open Division and finished 6th over fences and 3rd on the flat. She was also selected among the top riders to compete in the Open Championship Class and finished 2nd place. Runnells competed in the Intermediate Division and finished 6th over fences as well and despite a strong ride on the flat was not rewarded with a ribbon. Cranmore had a strong presentation in the Novice Fences and finished 2nd place, her Flat ride landed her a 5th place ribbon. To finish up the day, Hubbard competed in the Beginner WTC division and ended up in 1st place. With a total of 20 points Chatham Hall had a three-way tie for 3rd place but the tiebreaker rules placed them in 4th. The next IEA competition will be on October 15th on Family Weekend in the Mars Arena starting at 10am. As always for regular updates on the riding department, horses, students, and faculty please follow @RideChathamHall on Twitter.